Now that you have found your Tavira property, the next step is to close the deal and sign the final deeds. 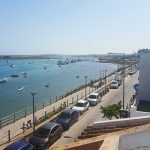 In this article you will found a short description of the taxes that you will have to pay when you buy an Tavira property. If you decide to hire a lawyer in order to elaborate a promissory contract and to give him power of attorney, normally you will be charged approximately 1% of the purchase price of the Tavira property for sale. The buyers are responsible for the payment of 2 taxes when purchasing. 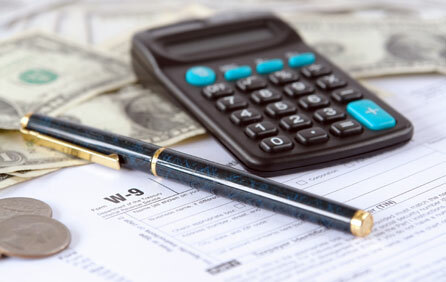 The IMT is a tax paid before the final deed. The amount depends on the purchase price. The higher the purchase price of the property, the more you pay. For example, if you buy a property for sale for 150.000€ you will have to pay around 2.785€ of IMT Tax. For an Algarve property sold for 100.000€ you will charged 1.075€. The stamp tax for any property for sale is very easy to calculate. The value of this tax is 0,8%. For example: An Algarve property for sale sold for 150.000€, you make 150.000€ * 0,8% = 1.200€. Another example: property sold for 100.000€ pays 800€ (100.000€ * 0,8%). This is the most important step in all process, because, when the property for sale is registered in your name, you are legally the new owner. The final deed will be signed at the official Notary office in the area close to the property, and the Notary will charge you between 375€ to 650€. These charges cover all the paper work, registration the property for sale in your name in the land register, finance department and also the notary fees. You only pay condominium charges, only, if you buy an apartment or any other property located in a condominium with pool or other services. 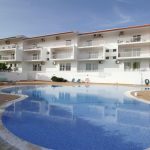 The condominium is a payment that will depend on the size of the property that you buy and also on whether is inserted in developments with pools or green areas. 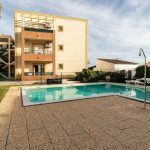 For example in Tavira if you buy an apartment without lift the value of the condominium to be paid monthly is around 25€. If the building has lift or pool the charges are around 60€ per month. All properties for sale pay this tax. In Tavira the value to pay is around 0, 4% of the valuation of the property made by the finance department. You can find this valuation on a document called “Caderneta Predial”. So to have an idea of how much you will have to pay for an Algarve property for sale, just multiply the valuation (Valor Patrimonial) by 0,4%. Normally the valuation made by finance department is lower the purchase price. When you buy property and after the final deed, the first thing to take care of are the contracts for water, electricity and gas. These contracts are individual meters and you only pay for what you use plus VAT. I will help you to obtain these contracts and services with the different companies. The payments can be made via internet or home banking. I can’t give an idea of how much you will pay for these services because it will depend on the readings. The more you use the more you pay. 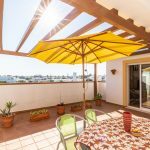 These are the taxes that you pay when you buy a property in Tavira. Please be aware that these amounts can change. The best thing is always to confirm every signing. 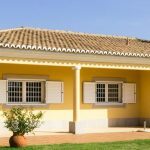 I hope this article is useful to you and that it will help you make the decision to buy an Algarve property. If you have any questions or if you need more details on this subject please contact me to my email or call me!